DataScan provides affordable Socrates Medical Record Scanning services to clients all over Ireland. Socrates Scan Importer in action with Datascan Document Services & Main Street Clinic, Loughrea. Main Street Clinic, Loughrea is a very busy practice with 8 GP’s, 4 nurses and 6 admin staff. Margaret Flaherty is the practice manager in the surgery and she is always keen to look at anything that might make processes more efficient and cut out any unnecessary administration tasks. Main Street Clinic has been a long time user of the Socrates Healthcare patient management portal and the surgery has been scanning documents as they come in for many years. Margaret heard about the Batch Scanning Service that Datascan offers in conjunction with Socrates Healthcare and she could immediately see how the service could help free up staff time from scanning. Having satisfied herself with the Free Trial of the service, Margaret signed up to become a regular customer. 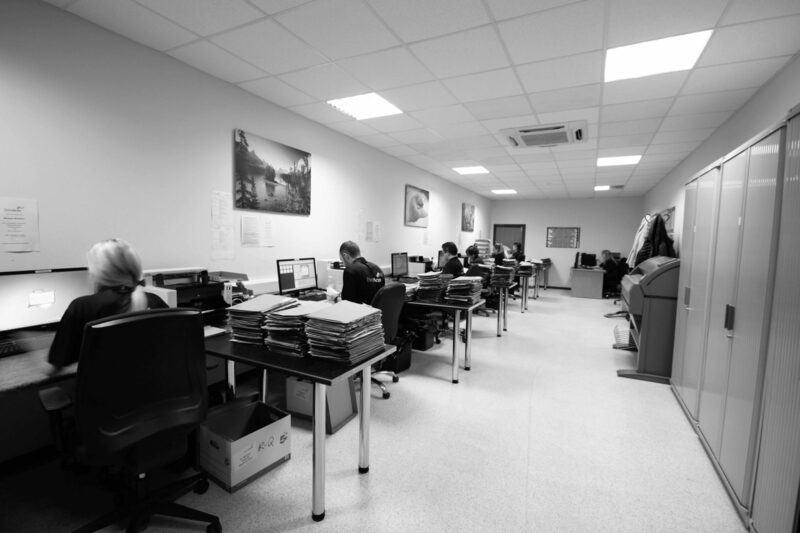 Twice per week, the team in Main Street Clinic sorts the correspondence into the agreed categories ready for scanning. The documents are then placed into the tamper evident Datascan Bag and sealed up for posting. The Datascan bags have a Pre- Paid Register Post label and the Bag can then be dropped to the local Post office and sent off by the register post service. This service from An Post is cost-effective, traceable and secure and the bags generally arrive at Datascan’s Finglas office during the next working day. Once at Datascan the contents of the scanning bag are scanned into the agreed categories such as Referral Letter, Prescriptions and so on. Once scanned the Images are delivered via secure private cloud to the surgery. They are matched to the Patient Identifier number from Socrates, which enables them to be uploaded directly into the individual patients chart into the relevant section using the Socrates Scan Importer Module. Margaret says that the service has become part of the routine of Main Street Clinic and her staff are happy that the mundane activity of scanning is being looked after in a timely, secure and cost effective manner. Keep your patient records right up to date with Socrates Scan Importer and Datascan. To find out more about this time saving service contact Datascan at info@datascan.ie or your Socrates Representative. Scanning Export Report from Socrates Healthcare on Vimeo.